Arthur De Vany was born in Davenport, Iowa in 1937. He graduated from Montebello High School in 1955 and signed to play professional baseball for the Hollywood Stars. Art was one of the very few pro baseball players to lift weights, a now-universal practice, which led scouts to give him the nickname of Superman in their scouting reports. The name stuck and recently the Times of London called Art Superman's slightly fitter granddad. Dr. De Vany went on to earn his Ph.D. in Economics at UCLA and to become a respected scientist who is known over the world through his articles and books. 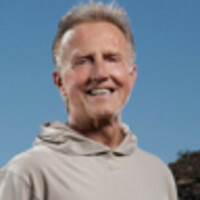 He is known as a Patriarch of the Paleo movement, having lived this way for almost 30 years.